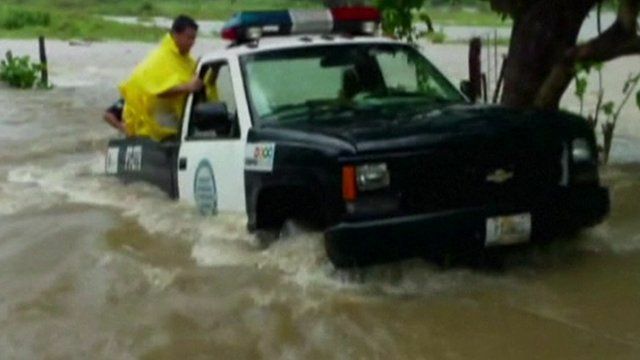 Mexico is being battered by two severe storms - one its eastern coast and another on its west, officials say. More than 5,000 people have been evacuated on the Atlantic seaboard ahead of Hurricane Ingrid which already has winds of 120km/h (75mph). It is expected to make landfall in the coming days. Tropical Storm Manuel has hit the western coast, on the Pacific Ocean, bringing almost twice the monthly rainfall in just three days.